Getting into the real estate world can be tough, especially when it feels like the agents are speaking a language you can’t understand. 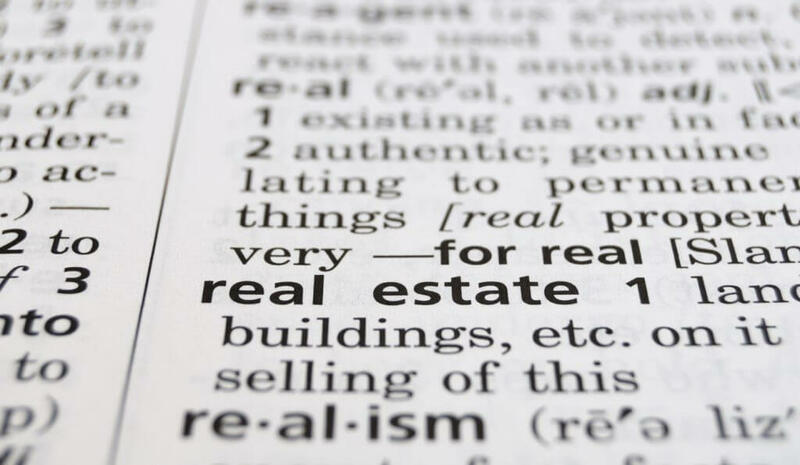 Whether you’re a buyer or a seller, or you are studying the real estate industry for the first time, there are a number of phrases, abbreviations, and jargon that you should familiarize yourself with. Here’s a quick guide to real estate lingo and commercial jargon, courtesy of Peak Finance Company. For more on real estate financing in Los Angeles, get in touch with our experts today. There are some common terms and phrases you may see on a real estate listing that you might not understand first hand and you’d like to learn more about. Below, some of the most common types of real estate lingo are listed to give you a better idea of what agents may be talking about when they list an acronym or abbreviation on their listings. In the real estate industry, there are certain terms and phrases that are passed between real estate agents, brokers, title reps, lenders, and so on. There is also a lot of phrasing that you may see on a leasing contract when you purchase or lease a property. This type of jargon is very important to understand as well, as it can determine what state of the real estate transaction you are in, as well as what official or legal documents are being discussed. ● LOI = Letter of intent. This is the first document created when two parties negotiate a purchase or a lease of a real estate property. ● Gross Lease = A fixed-amount lease that includes basic items such as rent, insurance, property taxes, and maintenance. ● NNN Lease = A triple net lease. This lease covers less than the gross lease, including rent and a pro-rated set of expenses. ● TI = Tenant improvements. This is anything that the tenant needs to improve upon when first entering the house or apartment. The landlord typically helps fund these improvements. ● ROFR = Right of first refusal. This is a contractual right where the landlord must give the tenant the right to match the purchase price of a lease with a third party. At Peak Finance, we are constantly improving upon our methods of communication so that everyone has a full grasp on the lingo and jargon specific to the industry. It’s important to know how things are discussed and written in their final forms, and we pride ourselves on being able to display these terms in a professional manner. If you are looking for more information about real estate financing in Los Angeles, you can contact us online or give us a call at (877) 874-7325 at any time.